Test Strips are approved for alternate site testing. Our glucose oxidase technology allows for safer and more accurate results. 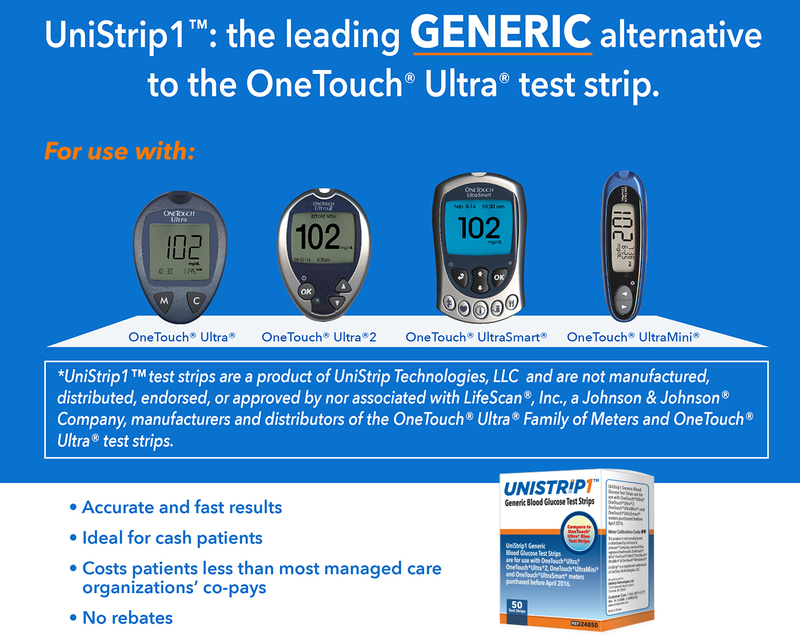 UniStrip™ test strips are a product of UniStrip Technologies, LLC and are not manufactured, distributed, endorsed, or approved by nor associated with LifeScan®, Inc., a Johnson & Johnson® Company, manufacturers and distributors of the OneTouch® Ultra® Family of Meters and OneTouch® Ultra® test strips.